For the first time in history, I spelled “aficionado” correctly without needing spell check or google… Yay me. 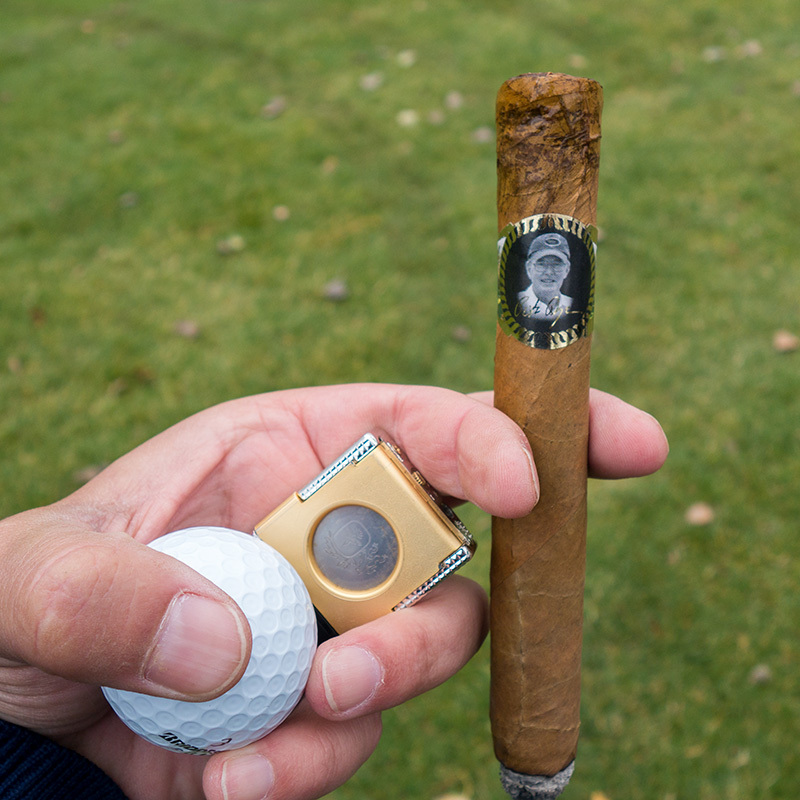 Today’s review is of a very unique golf and lifestyle product that not many golfers will get an opportunity to try, Pete Dye cigars. 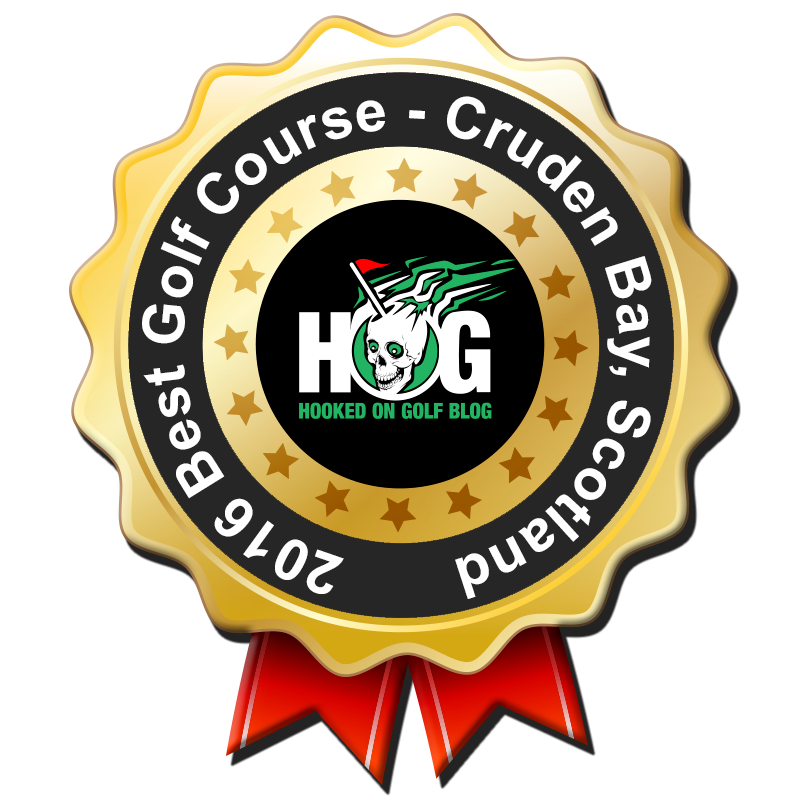 But since HOG is all about delivering unique and useful content which isn’t found elsewhere, I bring you this incredible bit of golf blogging. First off, one must know who Pete Dye is before going much farther into this review. For those who don’t know, Pete Dye is one of golf’s all-time greatest golf course architects. Dye is known for his “Dye-abolical” designs around the world. Some of his most notable courses include TPC Sawgrass which is home of THE PLAYERS Championship. Always write “THE PLAYERS” in ALL CAPS! It’s what they do. Other courses Dye is famous for include PGA West, Trump National LA, Harbour Town, Kiawah Island, Whistling Straits, Casa de Campo, Southern Hills. 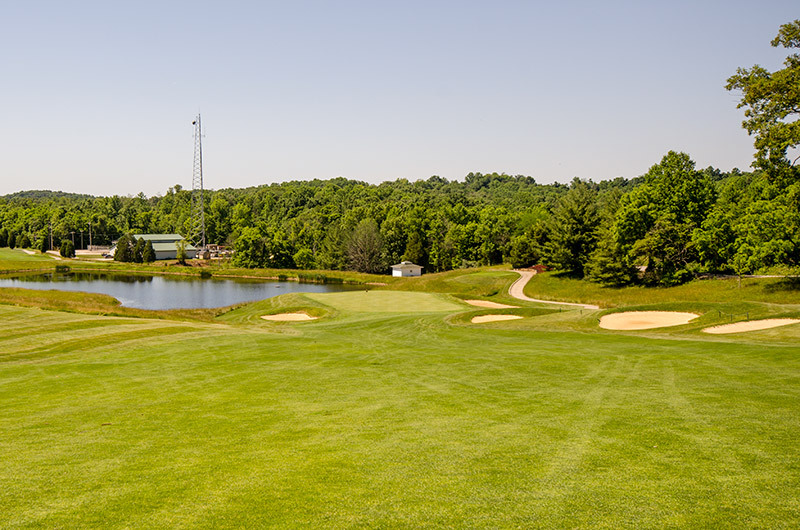 Recently I played and reviewed a newer Dye course in Indiana at the French Lick Resort, named the “Dye Course.” I must say that was probably the toughest course I’ve ever played, and by a large margin. The picture above right is of me and Mr. Dye at French Lick. 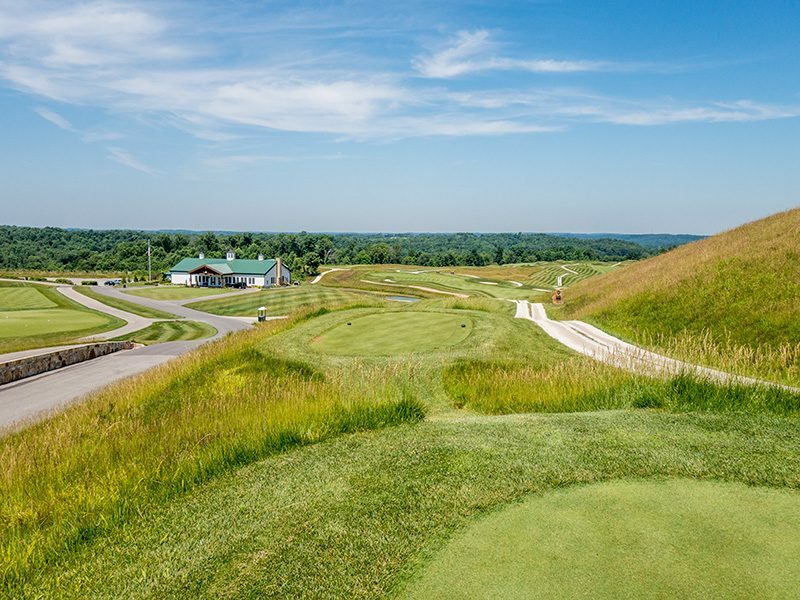 At the conclusion of the $350 round, the Dye Course at French Lick rewards the golfer for surviving by giving him and his group a goodie box with whisky and Pete Dye cigars inside. Thus, this Pete Dye cigar review. First one might think that a course giving out cigars is going to be giving out crap quality smokes. Honestly, I expected that too. 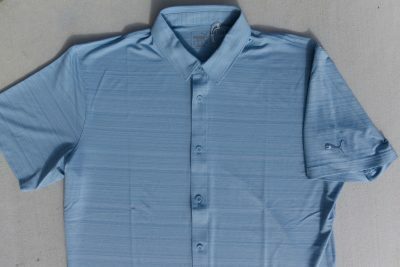 But one must realize that Dye has a lot of courses, and even a house in the Dominican Republic. Depending on who you talk to, some say Dominican cigars rival Cuban cigars. I love them both. So these cigars are no cheapos. No way. They’re actually VERY good. This cigar is smooth and enjoyable. I’d call it a medium strength smoke. Through the life of the cigar, down to roach-clip-range, it was consistently flavorful. It didn’t get nasty at the end like come cigars do. During one recent round I handed out these cigars to my pals. My golfing buddies who were with me that day enjoyed them very much. And as I usually do, I played my best golf with the cigar in action. I was EVEN PAR on the day. Thanks Pete. I can call you Pete, right? I haven’t researched to find out if one can buy the Pete Dye cigars, or if so where they are available. The only place I know to get them is by playing golf at French Lick’s Dye Course. As good as these cigars are it just might be worth the $350/round cost to get them! 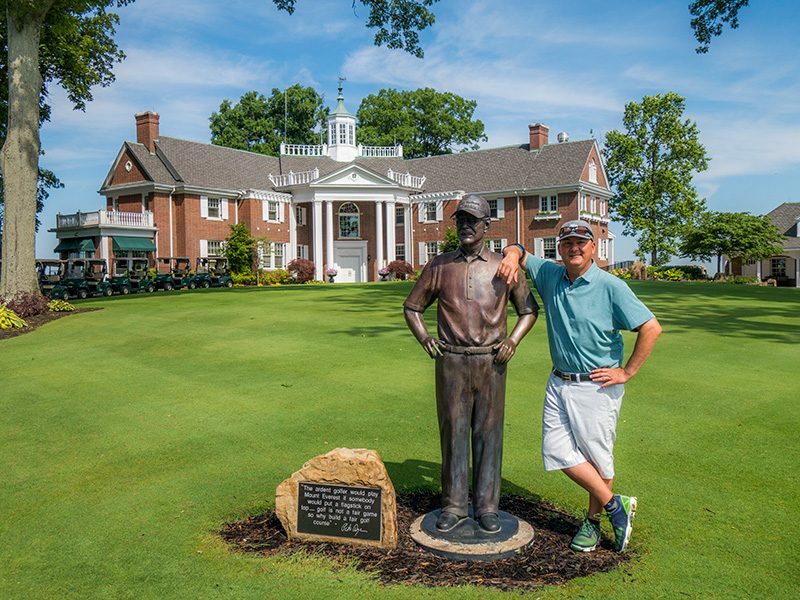 It has taken a few weeks to process my experience at French Lick Resort’s Pete Dye Course. I was also slightly sidetracked by a little trip to Scotland in that timeframe. The dust in my golf cranium has settled. I’m ready to try and tackle this big review of a big golf course. First off, let’s get the location figured out. French Lick Resort is in Larry Bird country, the towns of French Lick and West Baden Springs in southern Indiana. The closest major city and airport is Louisville, Kentucky. Next would be Cincinnati and Indianapolis. The resort sits on a large and historic estate which dates back to 1845. 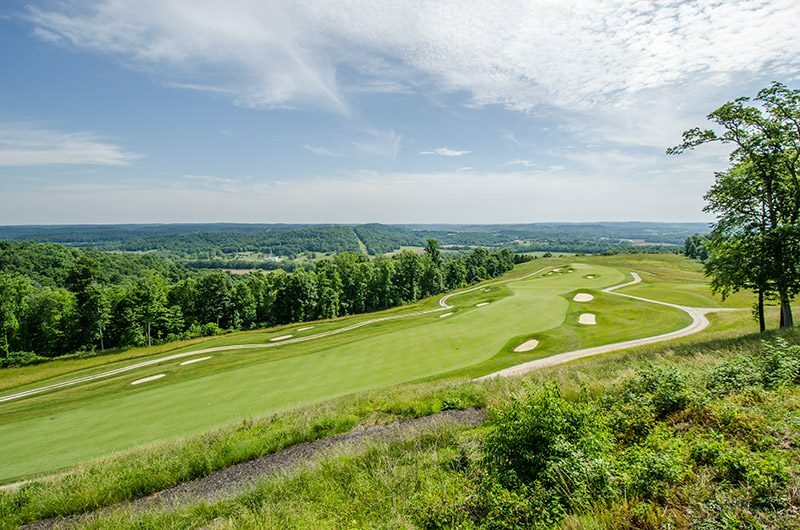 The Dye Course is a 5-10 minute drive from the West Baden Springs Hotel and the French Lick Hotel and Casino. 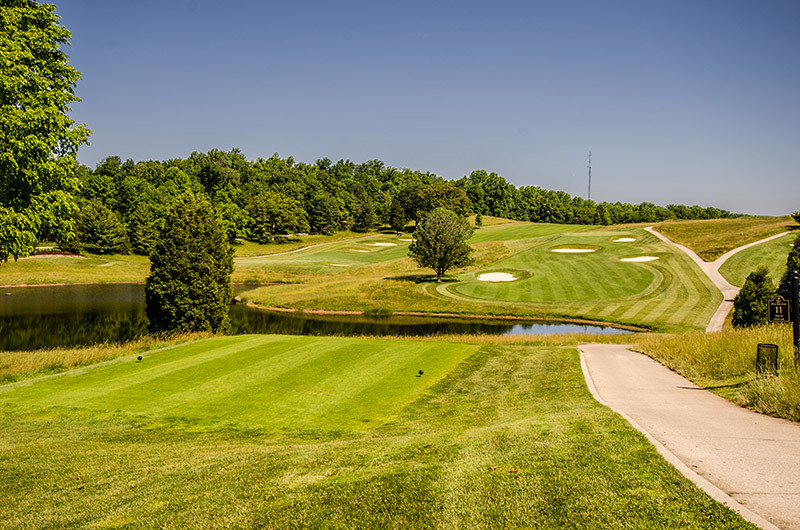 The course lies on one of the highest points of elevation in Indiana, producing a 40 mile panoramic view. First off, one must know who Pete Dye is. Pete Dye is a Hall of Fame golf course architect who has built some of the most famous courses in the world. Some of Pete Dye’s most notable courses include Kiawah Island Golf Resort, Harbour Town Golf Links, TPC Sawgrass Stadium (home of THE PLAYERS), Whistling Straits, and PGA West. The Pete Dye Course at French Lick is certainly one of the most difficult courses in the USA, if not the world. The course rating from the tips is an unheard of 80.0. The slope is a massive 148. It’s hard to translate those numbers for those who don’t understand rating and slope. A skilled professional on average would shoot an 80 on this course, on a good day. The course plays to a par value of 72. The total yardage is 8,102. Amongst that hefty yardage is par-3 16th hole which measures 305 yards. If the length isn’t tough enough, there’s water down the entire right side. The views presented to the golfer from the tees are tremendous, challenging, and worthy of not only a solid tee shot, but a solid shutter release of a nice DSLR camera. 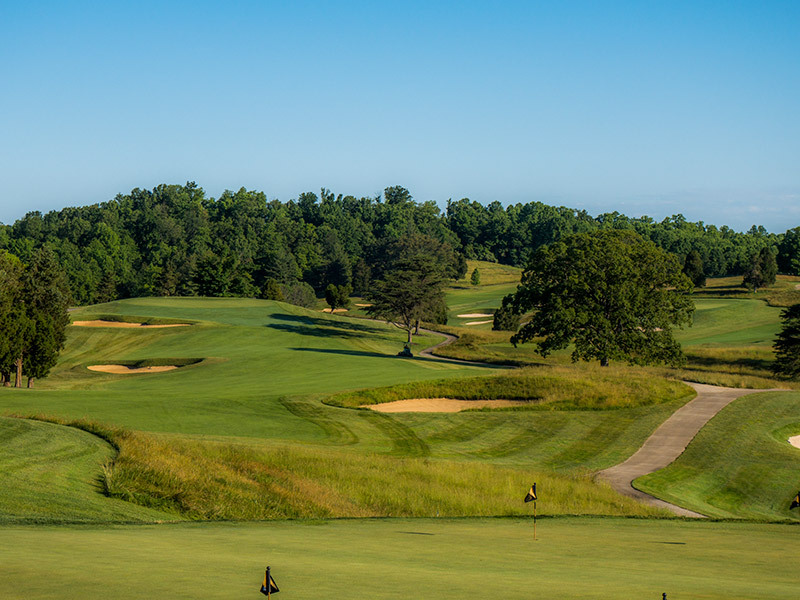 Where to aim from the tee on the Pete Dye course is a tough call on nearly every hole. Visually the landing areas look extremely narrow and seem like they’re miles away. Wait a sec… that’s because they are extremely narrow and miles away. One must know how far they hit their drives or layup shots, exactly. Then execute a near perfect shot to hit that precise spot to keep a ball in the fairway. And I’m talking about the par-3’s! I kid. I kid. Sort of. Dornoch, Scotland born Donald Ross began his golf career as an apprentice to Old Tom Morris at the Old Course in St Andrews. 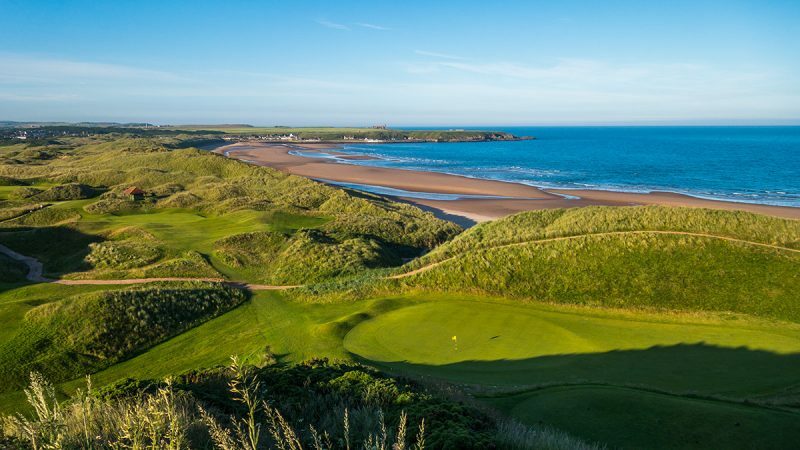 Old Tom was the greenskeeper for the Old Course in St Andrews and had designed many of the most famous courses in Scotland and the UK including Carnoustie, Prestwick, Muirfield, Machrihanish, Jubilee, and Balcomie Links. I’ve played a few of those. Ross moved to the United States in 1899 where he began arguably the most successful architectural career in the history of golf. Ross is credited for designing 600 golf courses. Amongst those 600 are some of the world’s most famous and respected courses, which still stand the test of time. A few of Ross’s most notable courses include Pinehurst No. 2, Seminole, Oak Hill and Oakland Hills. A couple of others I like to add to the list are ones I’ve had the pleasure of playing, Burning Tree and Aronimink Golf Club. Ross’s courses are known for being natural and taking advantage of the lay of the land, not the “earth mover” type of golf architecture. 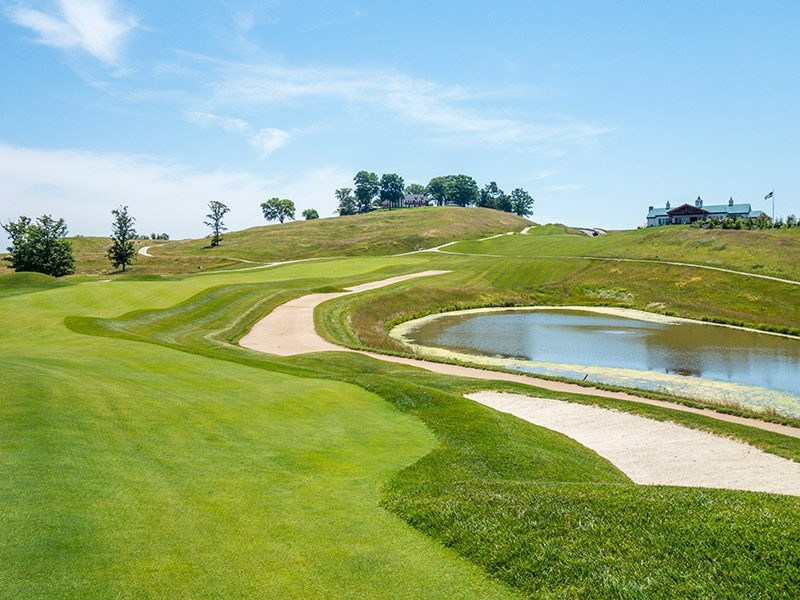 The Ross Course at French Lick opened for play in 1917 and has recently undergone a $5 million renovation to bring it back to Ross’s original design. Golf courses, like living beings, grow and change over time. 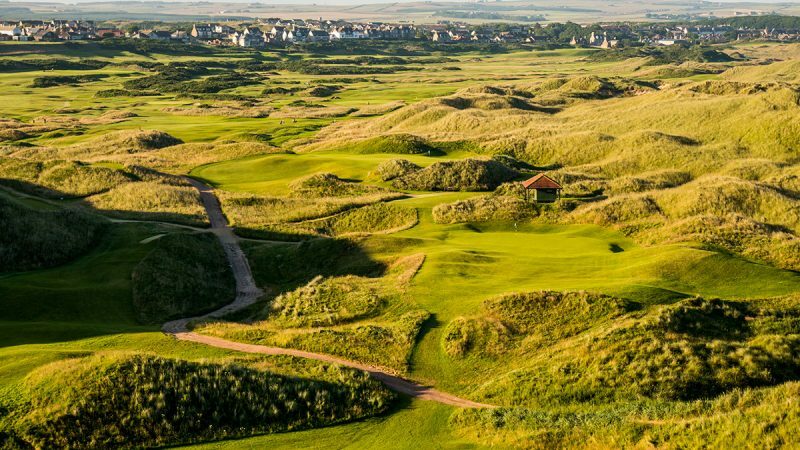 In the renovation, bunkers which lost their nearly 100 year battle with the elements and nature were restored to their original specifications. The Donald Ross course at French Lick is a par-70. 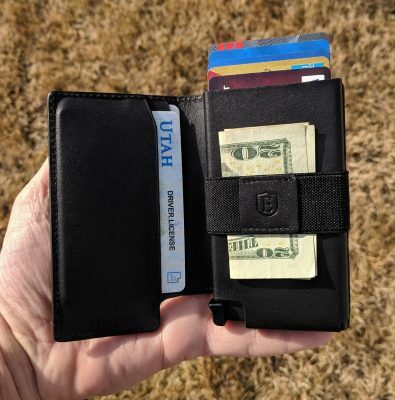 Don’t let that fool you into thinking it is short or easy. 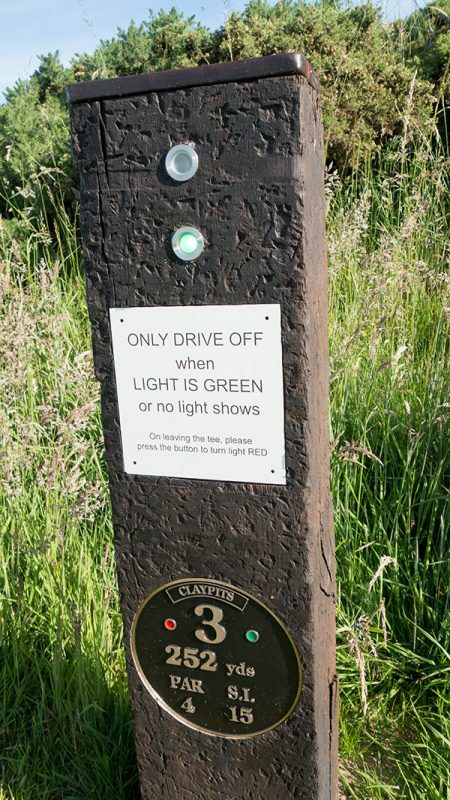 In fact, the course clocks in at 7,030 yards which is long even for a par-72 course. The rating from the tips (the Gold Tees) is a strong 72.3 with a slope of 135. A solid test of golf. To accommodate players of all abilities and ages, there are four total sets of tees, the shortest measuring 5,050 yards. The way each hole presents itself from the tee of the Ross course is so visually appealing. The landscape is hilly and features some very large elevation changes. 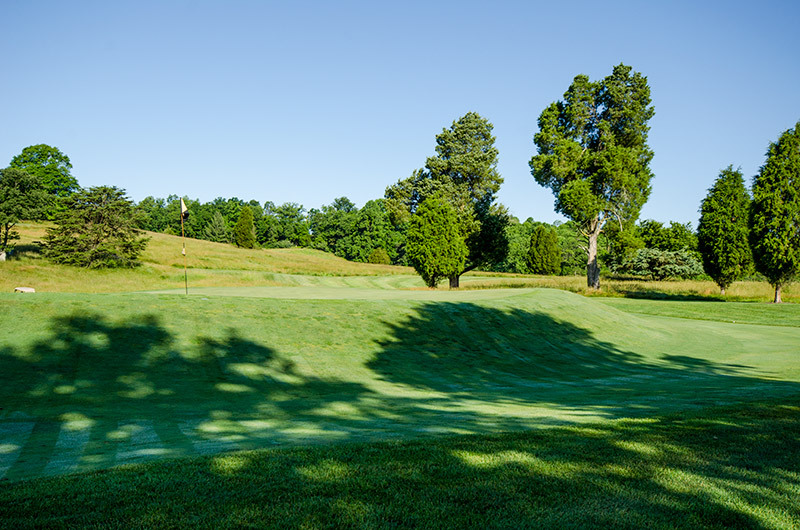 The tees challenge the golfer to execute an accurate shot or find strategically placed penal areas including bunkers, hazards, long native grassy areas, and trees. Some tee shots are blind and the help of some course knowledge or at the least, a local caddy is a great thing to have. The numerous sets of tees are not boringly arranged on one flat piece of ground a few yards apart. Rather, each tee set offers the golfer different yardages, elevations, and angles to the target. 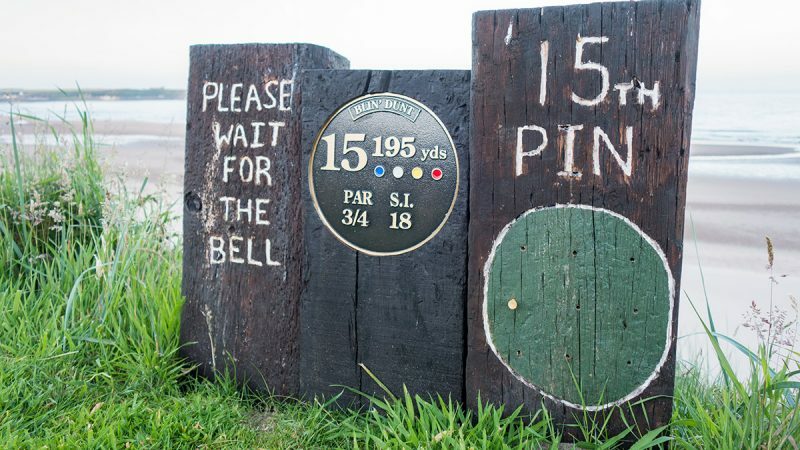 Regular golfers could create a very different playing experience by simply changing tees from round to round, or even making up their own combo set. The fairways at the Ross course are welcomingly wide. That said, there are very few flat areas on the property. The golfer will be challenged to hit a straight from the fairway due to the undulations and uneven lies. Strategically placed bunkers can and will penalize shots which are not placed in the fairway. Donald Ross is well known for his amazing greens at courses like Pinehurst, Oakland Hills, Aronimink. Ross’s greens at French Lick are truly amazing; the prime feature of the golf course. Many of the greens feature the Ross trademark “upside down soup bowl” design, where any shot or even putts too close to the edge are rejected and end up rolling off into collection areas or false fronts. Those upside down bowl greens (photo below) present some very difficult challenges in the short game. The player can try hitting a high soft shot, bumping a low shot into the hill and onto the green, or my default choice which is putting. Getting up and down from greenside at the Ross Course is an accomplishment. In fact, getting in the hole in two putts is an accomplishment. Due to the undulations, slopes, tiers and bowl edges, putting the Ross greens is the biggest challenge of the entire golf course. A two-putt on any green feels like a birdie. 3-putts can actually be a solid play. Stay below the hole at all costs. Because of the speed of the greens and the incredible slopes and undulations, shots which end up above the hole are most often dead. Stay below the hole, even if that means missing the green short. 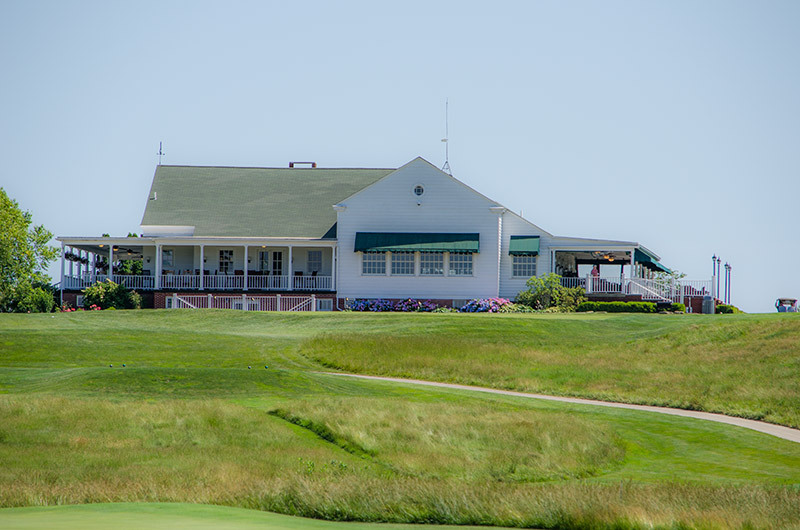 The clubhouse at the Ross Course oozes history and class. 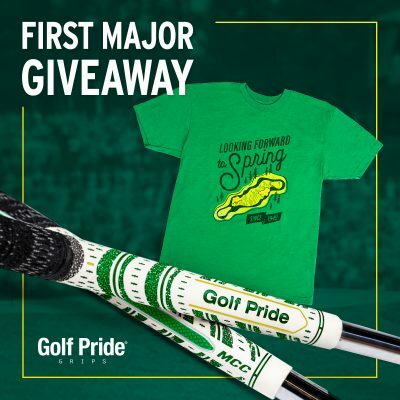 The pro-shop is full of great equipment and apparel and a great staff who are extremely helpful and pleasant to interact with. Hagen’s Restaurant has a large indoor and outdoor seating area (right side of above photo). I enjoyed great food and great service between rounds on a 36-hole day. Hagen’s is named after Walter Hagen, who won the PGA Championship there in 1924. The Ross course has an adequate putting/chipping area with a fantastic view (first photo), and very close to Hagen’s to insure the frosty beverages are topped off. One drawback to the Ross and my only critique: there is no driving range. 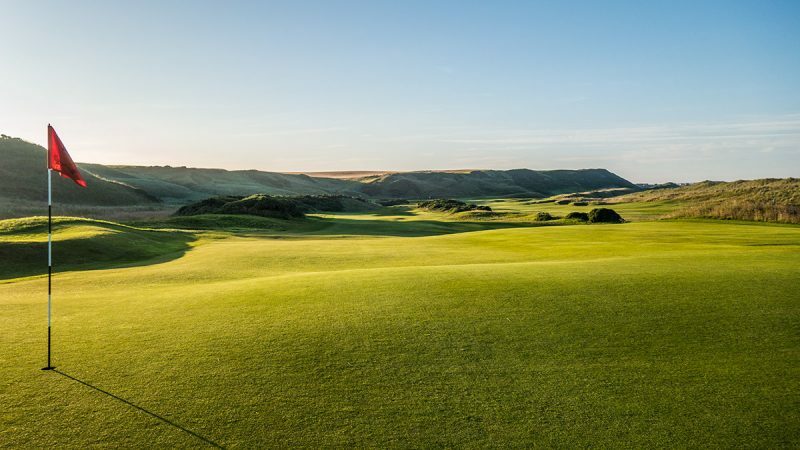 The Ross Course is a pristine gem, full of history and personality. 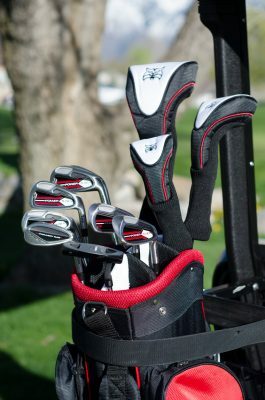 It will challenge golfers of all abilities and especially those like me, who consider themselves good putters. Be sure to plan a trip to French Lick to experience this historic golf course. The French Lick Pete Dye course (review coming soon), the Ross Course, and the French Lick Resort and Casino make for a tremendous golf buddy trip. 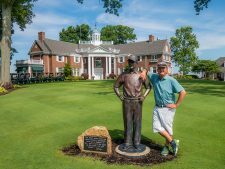 The Hooked on Golf Blog World Tour was in French Lick, Indiana last week to experience golf and the French Lick Resort. In addition to the fabulous Donald Ross course, I had the opportunity to play the Pete Dye course at French Lick. Wowsies. On a difficulty scale from 1-10, the Dye Course is a 12.3. With a course rating of 80.0 and a slope of 148, I’ve not played a more difficult course. And I’ve played some of the world’s most difficult courses like TPC Sawgrass, Wolf Creek, and Carnoustie. I will be posting my full review of the French Lick Pete Dye course as soon as I’ve recovered from the beatdown it gave me. Stay tuned.